Qingxudong in Guizhou Province, China. Qingxudong has a span of 251 feet as measured with a laser rangefinder by NABS member Gunter Welz in 2015. The height is 246 feet. 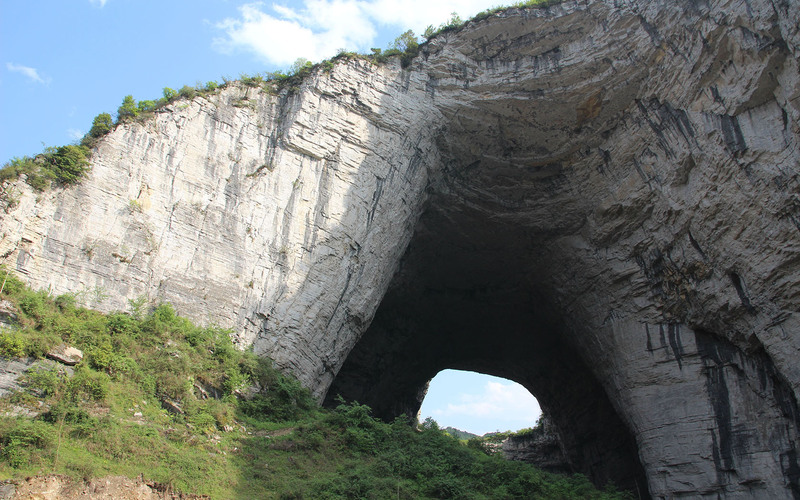 The arch is located about 5 miles southeast of the city of Dafang close to the village of Yang Chang Ba in Guizhou Province, China.